What are the sources for the SE data? In the absence of a central European registry, the main sources for the ETUI's European Company Database (ECDB) are the national registries, the Supplement to the Official Journal of the European Union (TED) and further research of our own. According to Art. 14 I of the SE Regulation, the information provided on TED is fairly limited and includes, for example, no information at all about employee involvement. There can be a considerable delay between an SE’s registration and its appearance on TED. Moreover, while all SEs registered should appear on TED, this is not always the case. 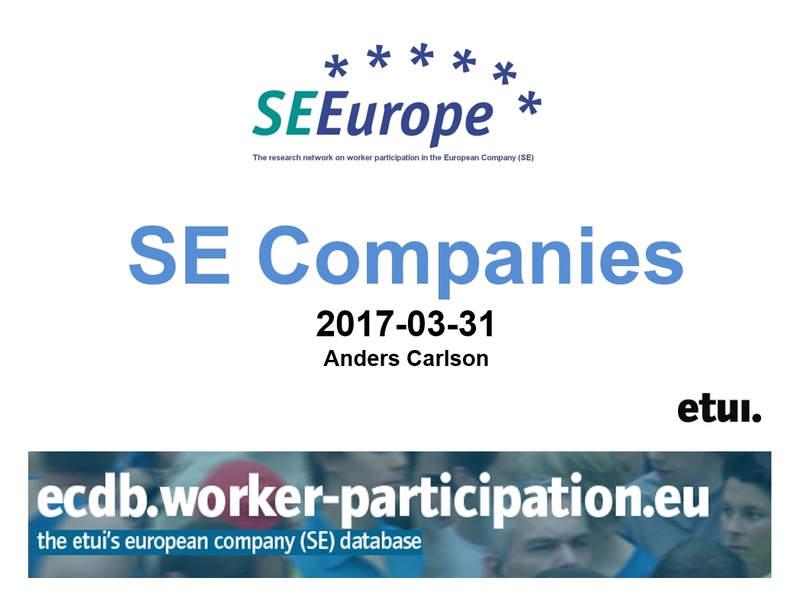 The ECDB therefore contains a higher number of SEs than TED. For these reasons, the ECDB team researches additional information via national registries, (internet) enquiries and through the ETUI SEEurope network which consists of researchers in, basically, all EU member states. The specific sources are always indicated in the last column of each company factsheet (field ‘References’).